John M. Dadian founded Dadian & Associates in 1992 after a successful career in government service. Dadian & Associates specializes in governmental relations and public affairs. Services include community relations, project development, media relations and special event planning. With offices located in San Diego’s downtown financial district, Dadian & Associates is involved in numerous issues ranging from waste management to land use. Dadian & Associates are registered lobbyists with numerous jurisdictions in the San Diego region. For the past decade, he has been a sought after political analyst for television and print outlets, both local and national. John served as Chief of Staff to then-San Diego County Supervisor Susan Golding from 1988 to 1991. During this period, Supervisor Golding served a term as Chairperson of the Board. John coordinated the unprecedented six joint regional meetings with the city council and neighboring counties. When Susan Golding became Mayor of San Diego (the eighth largest city in the country) in 1992, John was Chairman of Mayor Golding’s Inaugural Ceremony. In Los Angeles, John was Deputy County Supervisor for Mike Antonovich. Among the diverse responsibilities assigned to him, John was Supervisor Antonovich’s appointee to the Rose Institute at Claremont College designated to formulate a fair redistricting plan when the County of Los Angeles was sued by community organizations. Long active in California politics, John has served on the staff, or been an advisor to numerous campaigns. In 1985, he served as Scheduling and Advance Director for the Mike Antonovich for U. S. Senate Campaign. 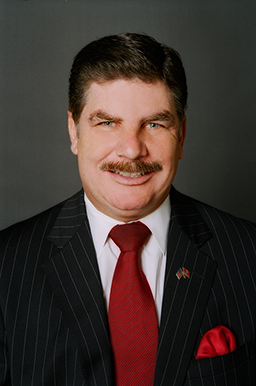 In 1988, he served as State Deputy Director for the Victory ’88/California Republican Party, assisting the Bush (41) campaign and various local candidates throughout the state. During this period, he also held the position of Director of the Antonovich ’88 Committee. A California native, John earned his Bachelor of Arts degree in Political Science from San Francisco State University. Prior to earning his degree, he served in the U.S. Marine Corps, where he was the recipient of numerous awards. His military duty included an extended tour in the Far East during the late 1970’s. He currently serves on the Board of Trustees of the Mt. Soledad Memorial Association. He is a past President of the San Diego Navy League. In 1995, John was unanimously approved by the City Council of San Diego to serve as a founding member of the Civic Events and Promotional Allocation Board where he served as Chairman. John has served on the Board of Directors of Crime Stoppers, Inc., and has served the maximum terms allowed on the Board of Directors of the San Diego County Lincoln Club. He is a past member of the San Diego County Air Pollution Control District Advisory Commission, and is a current life member of the San Diego Council of the Navy League and the San Francisco State Alumni Association. He is a 1986 recipient of the Outstanding Young Men of America Award.